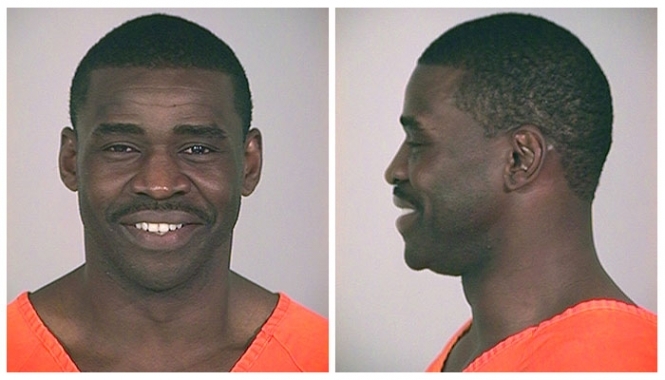 NFL great Michael Irvin was arrested by Texas cops in November 2005 and charged with misdemeanor possession of drug paraphernalia after Plano police pulled him over for speeding and found a multi-colored pipe with marijuana residue inside a Versace sunglass case tucked underneath the driver's seat of his 2005 Mercedes Benz. The 39-year-old former Dallas Cowboy wide receiver was booked into the city jail where he posed for the above mug shot before posting bond. Submitted by midnightrider on Tue, 2011-03-01 00:12.